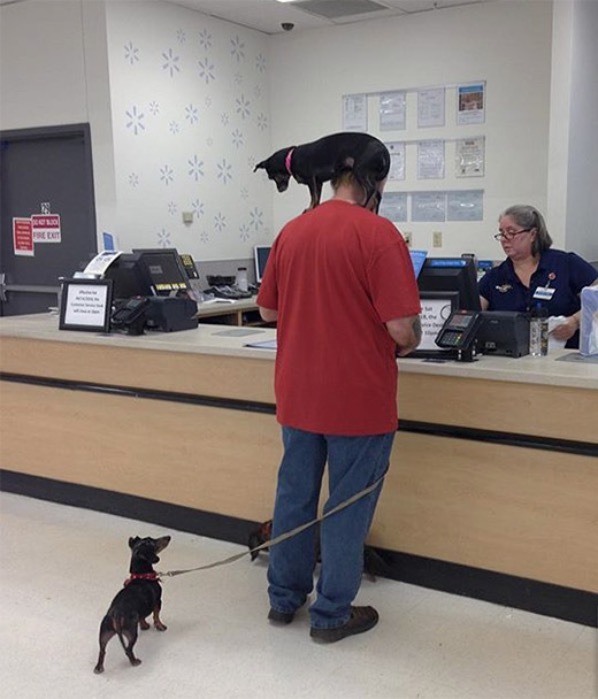 Take your dogs for a walk at Walmart. Don't let them walk all over you. You'll wind up with poop on your shoulder.